What's Your Family's Fun Summer Plans? You are here: Home / Resources / What’s Your Family’s Fun Summer Plans? What’s Your Family’s Fun Summer Plans? Well parents summer is officially upon here! 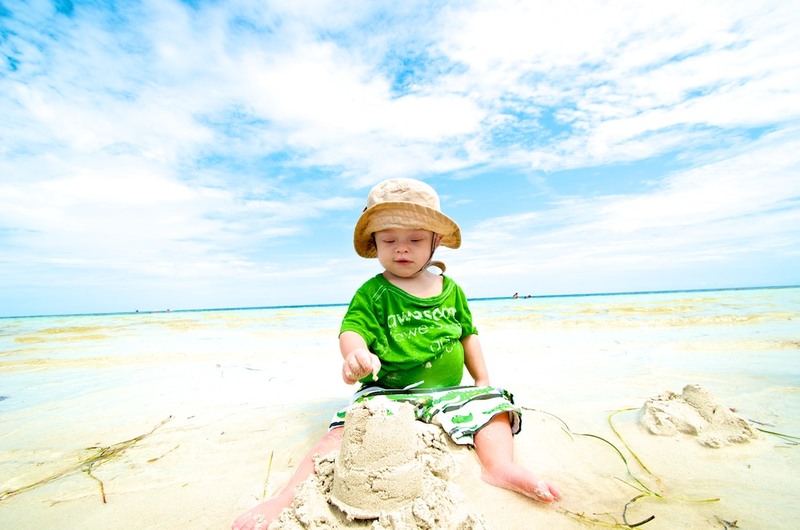 As you can see our little boy is already in full swing summer mode, and trying to build the world’s most awesome sandcastle. 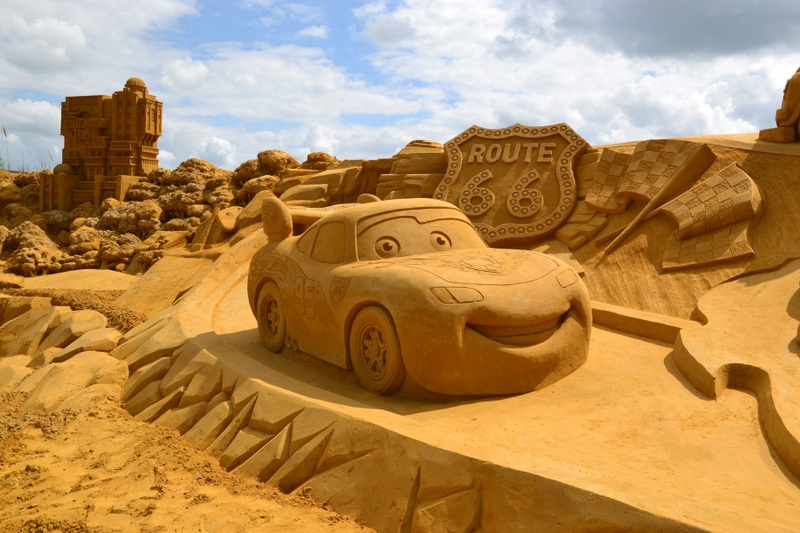 This Cars sandcastle is amazing! I’ll be writing more about our summer vacation in another post, but I wanted to check in with all of you and see what sort of fun activities you all have planned this summer. I’m always amazed by how fun and creative this community is, and perhaps our family will borrow some of your ideas! Working on summer plans and hoping to take my son to the beach for the first time this summer. Maybe a pool as well. Lots of trips to the park and the zoo as well. That’s fun! We’re huge fans of the park and zoo! Does your son like pools / water? Noah sure does. We live in Florida so we’re hoping to go big on outdoor activities this summer. We have annual passes to Aquatica and Seaworld, we are hoping to take a trip to Legoland and Dinosaur World in a neighboring town, lots of swing time at the park and hopefully be able to take Matt to the beach for the first time. Getting excited for all the fun times already! Wow…that sounds like super fun! We’ve been seeing the commercials to Aquatica here where we live. How is it? By the way, this picture was taken in the Keys where we just were for vacation. We had a great time. Wow, that sounds fun. I can’t wait to come and check it out. We want to go to the Disney one also. Do you like it? Which of the two (actually I think Disney has 2 waterparks, right?) So which of the 3 do you think is better for a smaller kid who likes to play at the kiddy pool..splash around, etc..? We haven’t taken him to the Disney waterparks yet, but they’re pretty busy all the time. We have taken him to another park called Wet & Wild, but I wasn’t really a fan. They did just open a children’s play area so we’ll probably hit it during their annual Deaf and Hard of Hearing event next month. Aquatica has an area of one of their kid areas that Matt loves. It is a lot slower than the other kid area and we can just strap him in a life vest and set him free to float and kick away. Our 5-month old son is having the last of 3 surgeries next month, and we’re looking to go on a beach vacation in August to celebrate his recovery. We are looking for something family friendly on a beach that won’t bankrupt us (a lofty dream, it is!). Our local airport has direct flights into Tampa, Fort Myers, and Fort Lauderdale. Any recommendations for places we should check out? Thanks! I’ve never been to any of those locations before. You should post your question on our Facebook page (http://facebook.com/noahsdadcom) there’s lots of folks from Florida on there, and I bet some of them could give you some great suggestions! We’re moving house next month and Cicely will have her very own room… so plans for the summer? Decorating! And should England decide to actually have any sunshine this summer then lots of barbecues and a garden party for Cicely’s first birthday at the end of August! How fun! And congrats on the new house! We have a crazy one planned. I am taking my kids, my mom and my sis to see my Grama. She is celebrating her 100th birthday! All of that sounds great, except that its in Indiana in July. Ugh. But everyone has A/C, right? Do we really need to go outside at all? This will be Otto’s first plane trip technically…his last one was in my belly to Indiana last year to celebrate the 99th birthday. Hopefully we get to do this for years to come!